We have more Longbows and Recurves than you will know what to do with! Hand crafted LOTR Bows, Traditional English Longbows, Recurves and Crossbows. 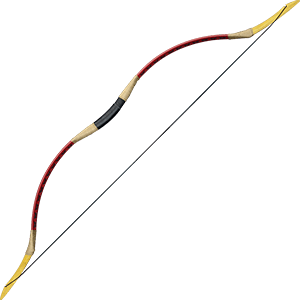 We have added new recurve bows, longbows, target bows and much more. Please browse through our selection. We have English Longbows, Target Bows, American Longbows and the Legolas Style Bows. Our functional bows come with a one year warranty and are hand made which ensures great quality. All of our bows are custom made to order and are fully functional. This means you cannot cancel the order once it has been placed at all. Our bows can take anywhere from 2- 9 weeks before you receive them. It is possible it could take a couple weeks longer depending on the time of year. We guarantee you will be happy once the wait is over and you have your very own custom built bow in your hands, it is worth the wait!! Different bows have different wait times, give us a call if you need one in a hurry and we can steer you in the right direction. We are proud to offer to you our awesome selection of Medieval and Traditional Longbows for the Traditional/Primitive Archer. Each of our Longbows are expertly hand-crafted to order. Our long bows come in a variety of different woods that range from bamboo, hickory, Jatoba Wood and Ipe Brazilian. 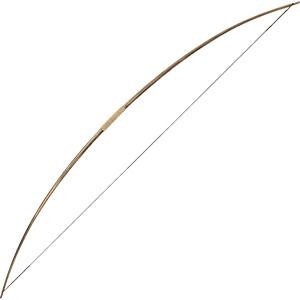 Longbows are fully functional and are suitable for target practice, horseback archery, and hunting. Once an order is placed for a bow, it cannot be canceled, we consider them custom orders. Our longbows can take anywhere from 1 to 9 weeks for delivery. Give us a call if you need one in a hurry or have any questions about them. We have great fantasy styled bows that were inspired from The Lord of the Rings. 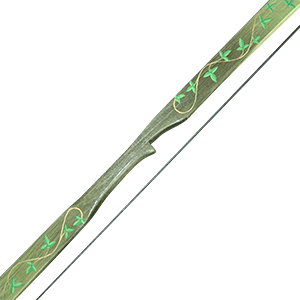 We have Legolas, Ranger and Elven style longbows. Each of our Longbows are expertly hand-crafted to order. Our fantasy bows are fully functional and can be used for hunting, archery target practice and re-enactments. Once an order is placed for a bow, it cannot be canceled, we consider them custom orders. Our longbows can take anywhere from 1 to 9 weeks for delivery. Give us a call if you need one in a hurry or have any questions about them. 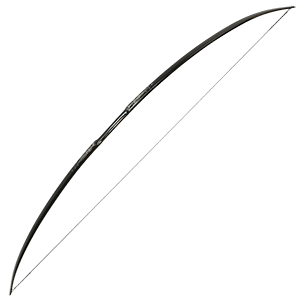 We have a nice selection of Recurve Bows that are great for hunting and horseback archery. Each of our Recurve Bows are expertly hand-crafted to order. Our Recurves are great for the traditional archer, and there are also great horse bows. We have a variety of horse bows such as the Welsh bow, Scythian bow and Hungarian bow. Once an order is placed for a bow, it cannot be canceled, we consider them custom orders. Our recurve bows can take anywhere from 8 to 10 weeks for delivery. We are proud to offer to you a great selection of longbows and recurves that are all offered at a great, low price. Now everyone can afford to have their very own custom longbow. Our bows are made by hand to order. Use them for target practice, horseback archery or hunting! Once an order is placed for a bow, it cannot be canceled, we consider them custom orders. Our longbows can take anywhere from 1 to 8 weeks before delivery. Give us a call if you need one in a hurry or have any questions about them.